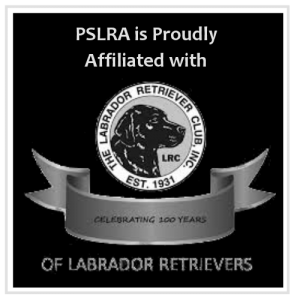 PSLRA is a not-for-profit organization dedicated to promoting the Labrador Retriever as an All-Around Dog. A show dog that will not retrieve is not a true Labrador Retriever. There is no reason why a hunting dog should not conform to the breed standard. That Labradors should be well-mannered family members. To these ends we hold AKC-licensed Specialty Shows, Obedience Trials, Hunting Tests, Agility Trials and Tracking Tests. We also offer Fun Matches and Working Certificates. We sponsor educational seminars and clinics and publish a newsletter. We urge our members to breed only dogs that will be sound in both type and temperament, and contribute to the improvement of the breed. 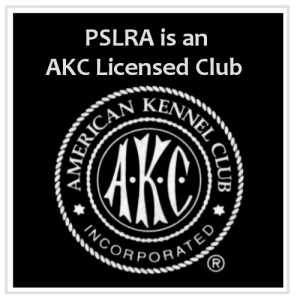 We encourage all our members to show their Labradors, as well as work them in the field and obedience ring to develop their full potential, while working toward the Club’s All-Around Labrador Award. The All-Around Labrador Award is given to Labradors Retrievers with titles in three venues: Conformation, Obedience, and the Field. The Club also offers a Versatility Award to Labradors who excel in three venues other than Conformation. Our nearly 180 members live predominantly in Western Washington, but also reside in Eastern Washington, Oregon, Alaska and British Columbia. Some live as far away as Arizona, California, Vermont, Virginia, and Texas. If you are searching for a Labrador Retriever please visit the “Find a Labrador” and “Resources” pages on this site to learn more about obtaining a Labrador Retriever from a responsible breeder.